The project provides stage performance opportunities for promising artists of traditional operas at home. 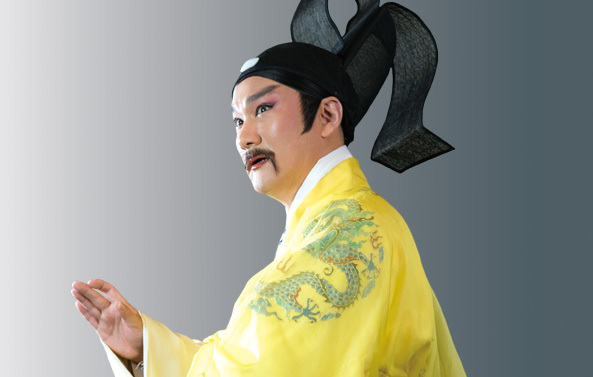 At this joint performance series, up-and-coming talents of Beijing opera, Taiwanese opera, Hakka opera, Luantan opera, and Bangzi opera are invited to go on stage and share finely hone performing skills with their peers and the audience. It is hoped that budding performers will be motivated to unleash more of their potential on stage and grow into stars of tomorrow. With a history of 55 years, the Taiwan Jing Kun Opera Troupe of the National Taiwan College of Performing Arts is the first local-cultivated professional troupe. 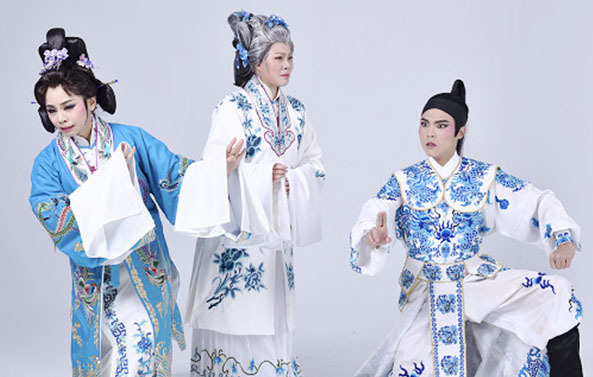 Specialized in both Peking and Kunqu opera, those artists have accumulated rich artistic strength from countless stage practices from generation to generation. 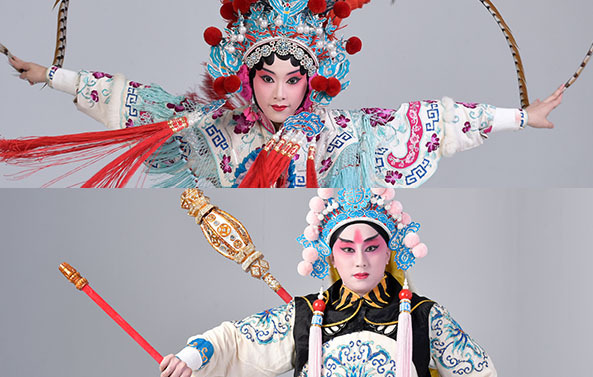 Upholding the spirits of "sustainable heritage" and "modernization and innovation", the Troupe injects vitality into the development and artistic aspect of Peking Opera opera and Kunqu opera in Taiwan. HU SAN NIANG is taken from Water Margin. On day, when HU SAN NIANG is practicing martial arts in the garden, she heard a servant of Hu-Jia house came and reported that SONG Jiang led an army to attack Hu-jia village. Therefore, SAN NIANG put on suits of armour, led the female soldiers and went out to fight the enemy. Three stages of "coming the enemy", "arresting the tiger" and "being defeated" come out. Hu San Niang was born by Wu Dan, who sang and played hard, sounded heavy arias and difficult tactics to tie in with the wonderful opening. Born in 1998, she major in WuDan (matial and valiant female role), and also graduated from National Taiwan Opera Academy. She learned from LI Hua-ling, LI Qi, DAI Xin-yi, YANG Lian-ying, YAN Wei. Also, she learned from many valued Chinese actors or actresses. Liang-tzu is a young WuDan actress in our troupe. The palys she has participated including: Fight with Azure Dragon, Steal Fairy Herbs, Young Feng Ling Kong, SiZhou City, Hu-jia village, Dongjinding, Fire Phoenix. Yaguan Chamber“LI,TSUN-HSIAO won the battle and captured Mengjuhai.” One of the important martial arts for XiaoShen (young and hensome male role) is to display the semi-god character, holding CHI BI YAN in the left hand, and HUN TANG SU with the right hand and inserting the flag into the waist to perform singing ,reading ,doing ,playing. 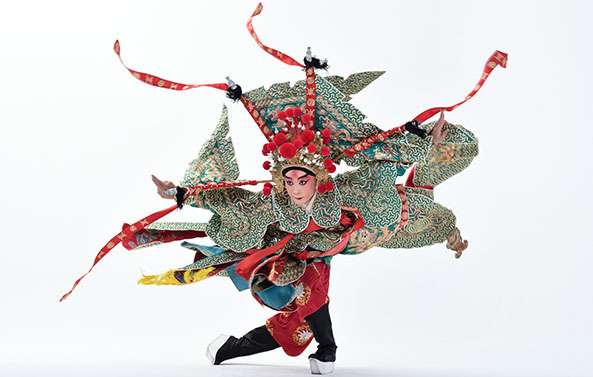 (Peking Opera performance adopts four means of artistic expression.). This play is mostly the opening ceremony of the young actor’s performance. Born in 1992. Graduated from Departmant of Baijing Opera at National Taiwan College of Performing Arts, Majored in XiaoSheng(young, handsome male role and usually scholars). He has learned from Cao Fuyong, Wan Xingmin, and Yu Wanzeng. Now is teaching by ZHAO Yang-qiang in Taiwan Jingju and Kunqu Opera Troupe. This year there are a total of eight performances, and each performance comprises three one-act plays presented by different performing groups. Click here to view the complete performance schedule. 1. Chinese and English subtitles are provided. 2. Each performance will be recorded. * Please visit the official website for all the latest updates. * The organizers reserve the right to make changes to the event program. Today the number of：62人 / The total number of visitors：131,024人 / Last Updated：2019/04/19.